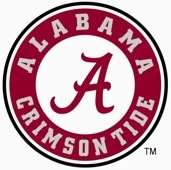 Join the Greater New York Chapter on Monday, May 7 at Bahoshy Field on the campus of Fordham University in the Bronx to watch the third-ranked Alabama softball team take on the Rams in a one-game set. First pitch is at 6 p.m. Admission is free. Alabama fans will congregate just outside of the Bahoshy Field main gate at 5:45 p.m. to coordinate a group seating section. Make sure to show your Crimson pride -- bring your shakers and wear your best Alabama gear! Need directions? Click here if you will be driving or traveling via public transportation. Time permitting after the game, we will head to Dominick's on Arthur Avenue for a postgame celebration.